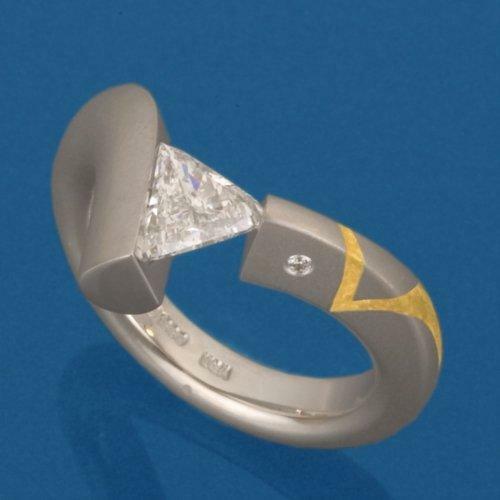 The Steven Kretchmer V3 is a bold ring with powerful lines. 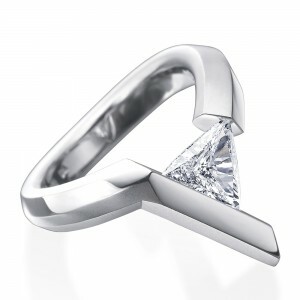 This ring is perfect for anyone with a unique, modern sense of style. Metal choice may be selected in "drop down" box at "Add to Cart" area. Trillion Cut - Includes two diamond melee in price!